Issues of justice and equity are at the core of the United Church of Christ and something that we at LHUCC have sought for years to address in various ways. On Sunday we welcome Tony Williams to worship. 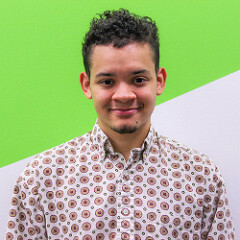 A graduate of SW High School and Santa Clara University, Tony is now South Minneapolis Organizer for Neighborhoods Organizing for Change (NOC). NOC is a grassroots member-led organization building power in under-resourced communities of color across the Twin Cities, focused on the intersection of race, the economy and public policy. Tony will help bring his artistic talent to worship and also share information about NOC’s work He will be leading the Table Talk Ten discussion at Coffee Hour. Please welcome Tony and join in the conversation. Admiring the hard work you put into your site and detailed information you offer. It's nice to come across a blog every once in a while that isn't the same out of date rehashed material. Great read! I've bookmarked your site and I'm including your RSS feeds to my Google account.